Q. When did you first get interested in markets? A. When I was a kid. I loved the stock market. 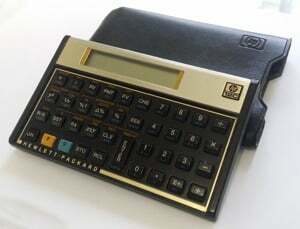 I used to tear the paper out of my father’s hands to check the stock quotes. The first time I tried a Swanson’s TV dinner, I thought it was so delicious and such a great idea that I wanted to buy the stock. I found out that Swanson’s was owned by Campbell, and I got my father to buy ten shares of stock for me. I was eleven at the time. The stock never went anywhere. When I was thirteen, I bought Eastern Airlines and a realty company that eventually went bankrupt. I always lost. In high school, I discovered options. 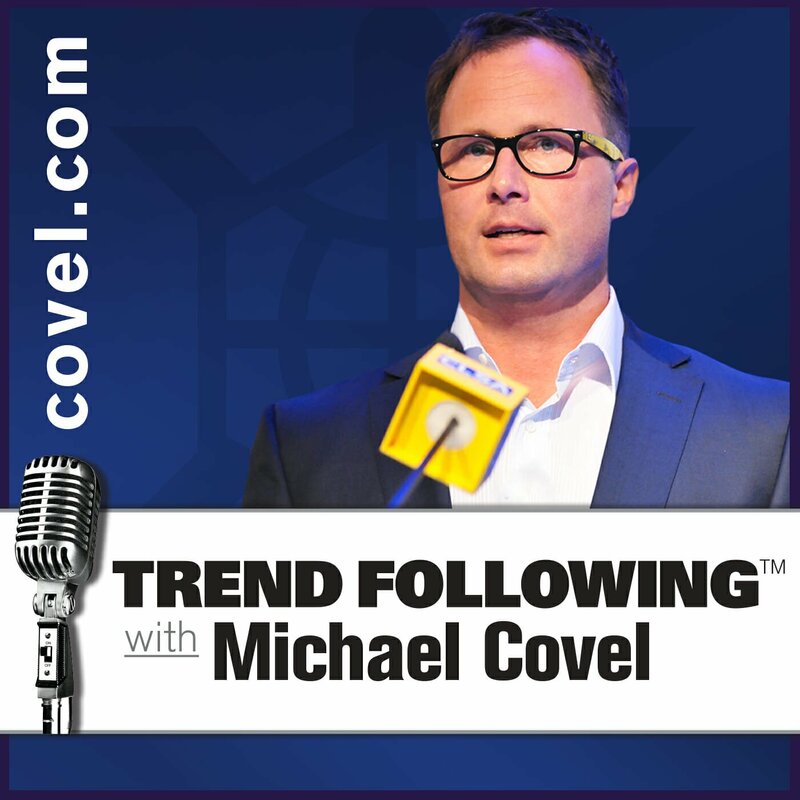 Trend Following™ ranks as high as #2 on iTunes investing with 6M+ listens. Listen for free everywhere: iTunes, iHeartRadio, Google, Stitcher, RSS. #1 Small town guy starts at a 1970s gas station and becomes a trading legend worth $100 million. Send email and get the FREE video. 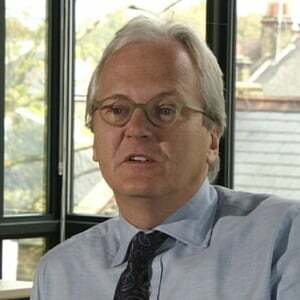 #2 Billionaire David Harding started small, became a trend follower and now is a trading legend. Read his story here. Subscribe now and take my free trend following eCourse. Turtle Book Cover (PDF) | Questions? Contact us to become a new TurtleTrader. 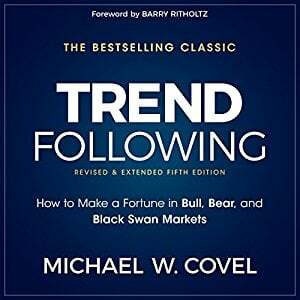 Information on the Trend Following™ network of sites may not be copied, reprinted, or redistributed without written permission from Michael Covel and or Trend Following (but written permission is easily and typically granted). The purpose of this website is to encourage the free exchange of ideas across investments, risk, economics, psychology, human behavior, entrepreneurship and innovation. The entire contents of this website are based upon the opinions of Michael Covel, unless otherwise noted. Individual articles are based upon the opinions of the respective author, who may retain copyright as noted. 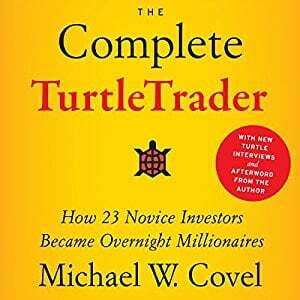 The information on this website is intended as a sharing of knowledge and information from the research and experience of Michael Covel and his community. Information contained herein is not designed to be used as an invitation for investment with any adviser profiled. All data on this site is direct from the CFTC, SEC, Yahoo Finance, Google and disclosure documents by managers mentioned herein. We assume all data to be accurate, but assume no responsibility for errors, omissions or clerical errors made by sources. 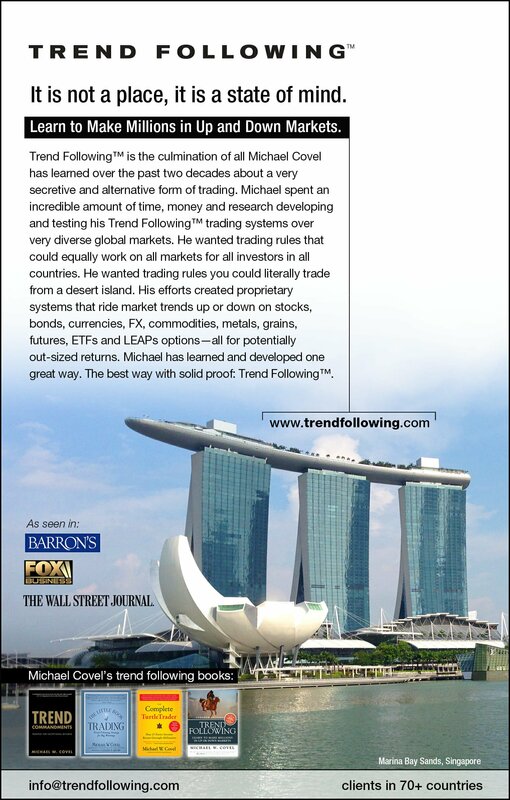 Trend Following™ markets and sells various investment research and investment information products. Readers are solely responsible for selection of stocks, currencies, options, commodities, futures contracts, strategies, and monitoring their brokerage accounts. Trend Following™, its subsidiaries, employees, and agents do not solicit or execute trades or give investment advice, and are not registered as brokers or advisors with any federal or state agency. Trend Following™, TurtleTrader®, TurtleTrader.com® are trademarks/service marks of Trend Following. Other trademarks and service marks appearing on the Trend Following network of sites may be owned by Trend Following or by other parties including third parties not affiliated with Trend Following™. © 2004-17 Trend Following™ All Rights Reserved. Trend Following™, TurtleTrader®, TurtleTrader.com® are trademarks/service marks of Trend Following. Other trademarks and service marks appearing on the Trend Following network of sites may be owned by Trend Following or by other parties including third parties not affiliated with Trend Following. Check out my 2017 epic release: Trend Following: How to Make a Fortune in Bull, Bear and Black Swan Markets. Revised and extended with twice as much content. 5th edition out April 24th 2017.